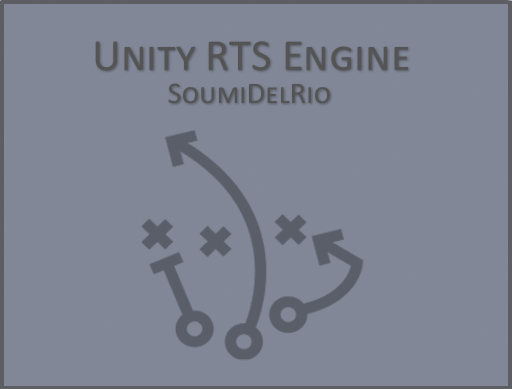 The Unity RTS Engine provides all the features required to create your own RTS game and customize it. 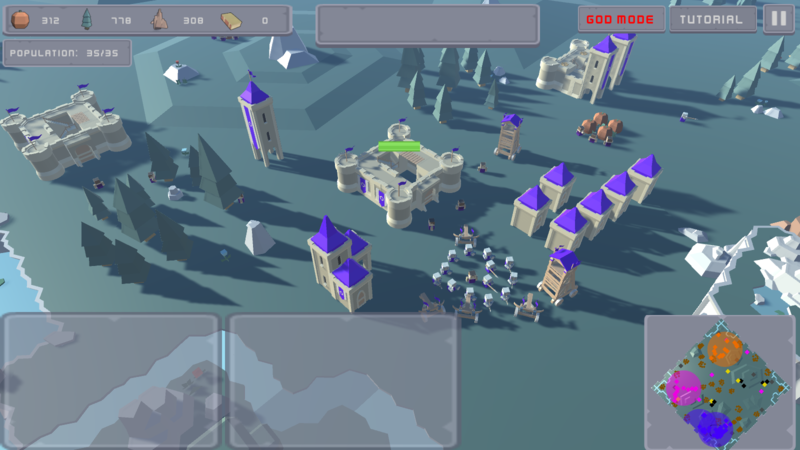 It handles map creation, faction management, AI, buildings, units, resources, UI and a much more. It also supports both single player and multiplayer. Create and customize maps making playing in each one a unique experience. 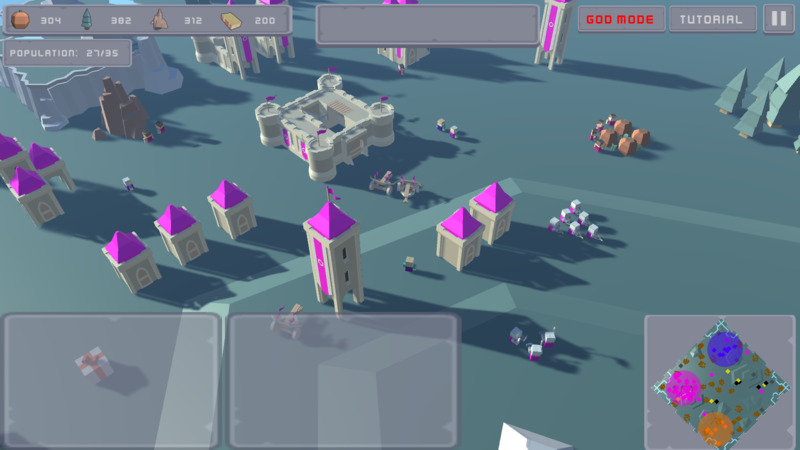 Create Factions and customize each one by having its unique buildings and units to use. Have control over NPC Factions and tweak the AI from the inspector to set up multiple difficulty levels and provide a different experience each time. Create and customize different types of resources for the factions to collect and use them to place buildings or produce units. 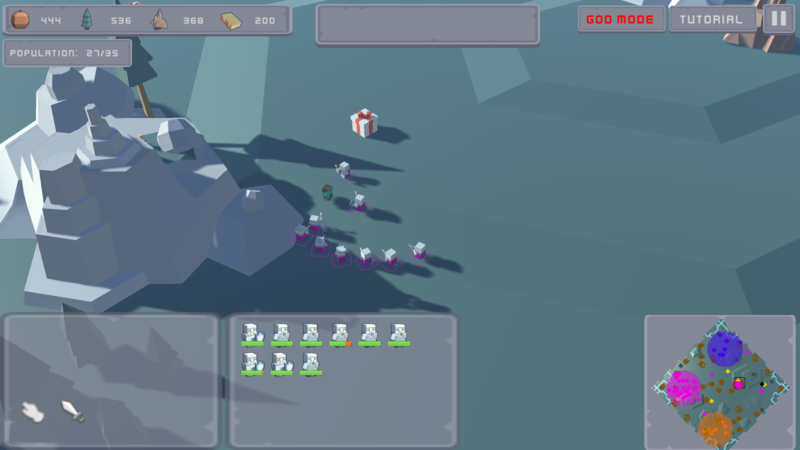 Make resource collectors gather resources automatically or have them drop them off at a building when reaching a certain amount. 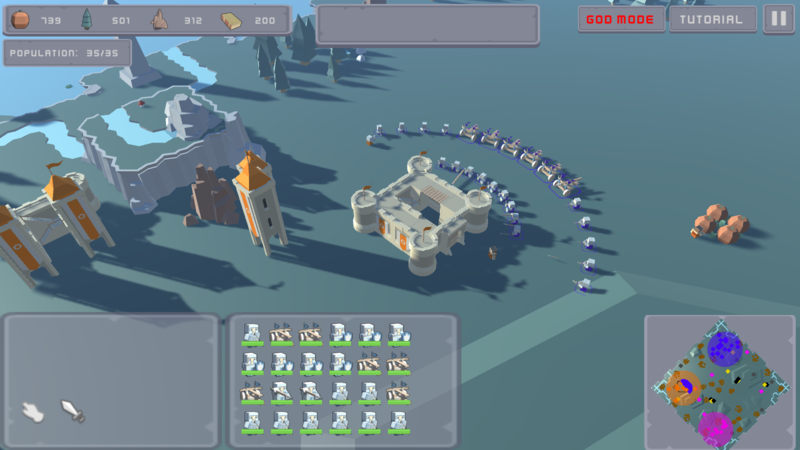 Create buildings and make each one deliver a different task for the faction (producing units, increasing the faction’s population slots, etc..). Each faction have borders in the map which allows the faction to exploit resources and place buildings inside this territory which can be expanded by constructing buildings that deliver this task. Create different types of Units that deliver tasks such as constructing buildings, gathering resources or attacking other factions. Each unit can have one or multiple functions. RTS Camera providing the features that a RTS game requires (movement, zooming, unit follow, etc…). RTS Minimap allowing for faster and more efficient navigation. Select single or multiple units, buildings or resources to display information about them and give them tasks. Full UI for the game that includes a Task Panel, Selection Panel, Resources Panel and more. 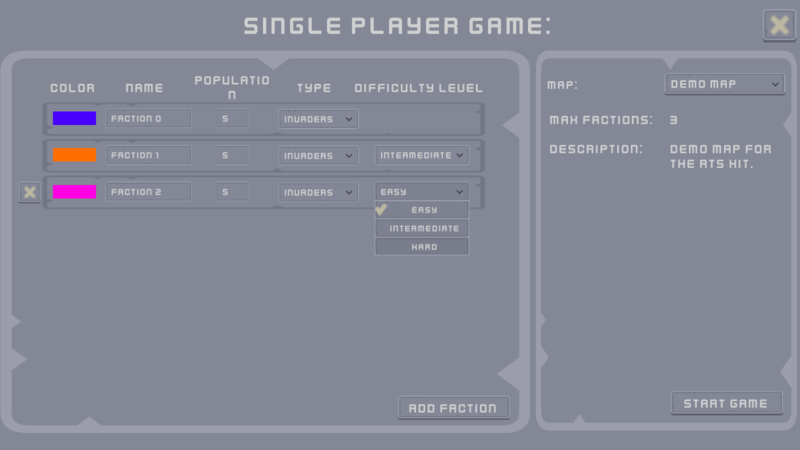 Single player menu that allows the player to select a map and see its features, pick the amount of factions to play with and set the difficulty level of each faction (comes with fully functional UI menu). Multiplayer mode powered by Mirror. 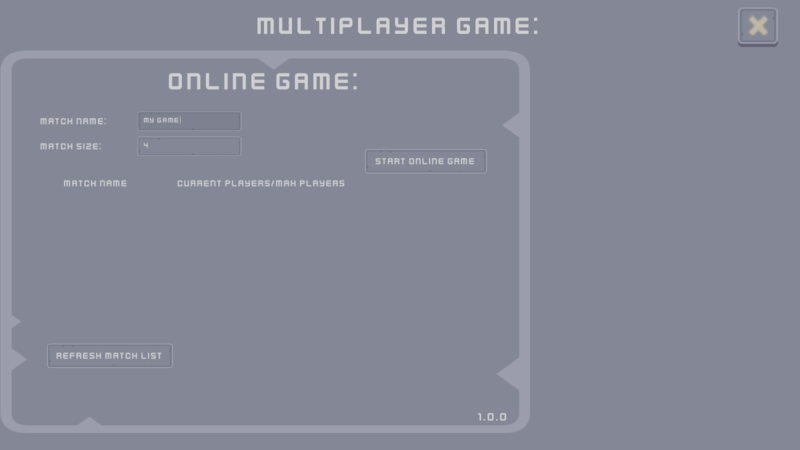 Multiplayer menu that allows the player to host/join local or internet rooms (comes with fully functional UI menu). Nearly everything can customized from the inspector. In any case you want to dig in the code, the comments will guide you in every line). Custom delegate events that trigger whenever a major event happens allow for even more code customization.